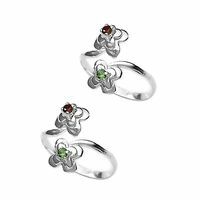 One can find a great collection of ornaments starting from necklaces to ear rings. 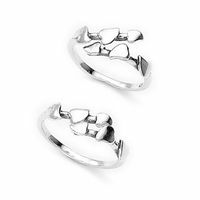 We have an array of pretty collection of toe rings including openable, enamel, plain and studded. 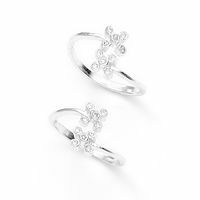 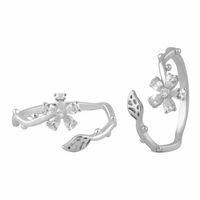 The top openable toe ring will make you fall in love with yourself each time you see yourself in the mirror wearing these top openable flower shaped toe rings which look appealing as ever. 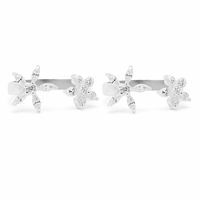 They are finely crafted in 92.5 sterling silver. 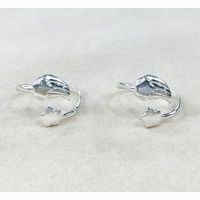 The toe rings can be paired with open-toed footwear such as stilettos. 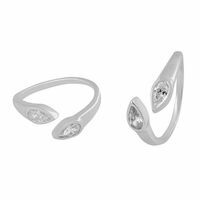 The Exquisite upper openable toe ring are always in trend so pick this upside open fashionable pair to prettify your feet with. 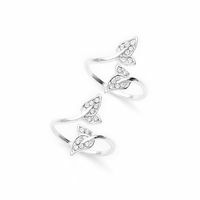 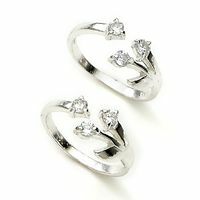 These are crafted with 92.5 sterling silver and is also studded with an oval-shaped Zircons for added charm and grace. 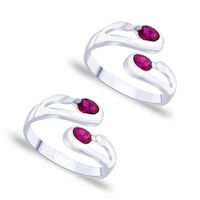 They blend greatly with any sort of occasion that would render an exceptional look and feel to you. 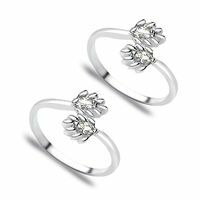 Toe rings would make a gift for would-be bride. 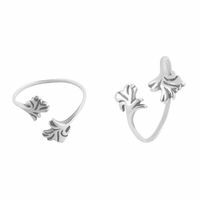 A toe ring such as an enameled leaf shaped toe ring in yellow would be a perfect gift. 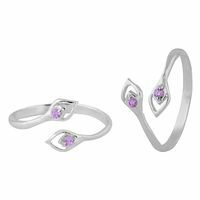 The grace of this toe ring would attract compliments wherever you go and is designed to complement a wide range of outfits.